 Lymington’s Charter Market takes place every Saturday in the bustling High Street from 8am to 4pm and is one of the New Forest’s hidden gems. It’s a superb day out, with stalls ranging from plants, local food produce, household goods, and craft items. There are approximately 100 stalls every week selling a manner of edible treats from olives, breads, cakes, fudge, pies, fruit and vegetables to take home with you. Don’t forget a cool bag to bring back local fish, cheeses and meats too. There is something to suit all budgets, whether looking for a hand crafted gift for a loved one or a special souvenir of your trip. Look no further than Lymington’s market for jewellery, bric-a-brac, clothes, shoes, plants and bedding. It is all there! Visitors to Lymington should allocate a whole day to incorporate the non high street shops and boutiques, have lunch in one of the artisan restaurants or afternoon tea in a family owned cafe. Take a stroll down the famous cobbled street and watch the sailing boats and luxury yachts intermingle with the fishing fraternity. 8 car parks are within easy walking distance of the High Street – charges apply. Blue Star and Morebus currently run bus routes from Southampton, Ringwood, Hythe and Bournemouth. Bus stops located at Gosport Street, Priestlands Place and outside the Post Office in the High Street on Market day. late evening and only takes 40 mins. Designated bus bay / coach drop-off point outside Post Office (SO41 9YA). SATURDAYS: Lymington High Street is only accessible via Gosport Street from 8am-6pm on Saturdays. Coaches can park / wait at Priestlands School Bus Stop, SO41 8DG (opposite Londesborough Place). 4 hours parking is available either side of the road. ADVISORY NOTICE: To avoid a Penalty Charge Notice, please do not park on Lymington High Street between 06:00am - 06:00pm every Saturday.